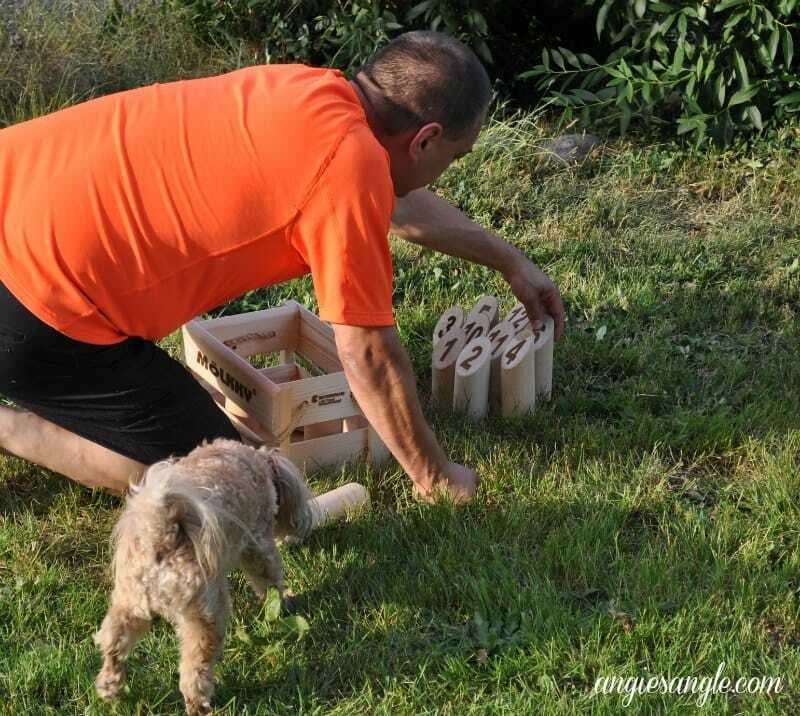 Thanks to Tryazon & Tactic for the Molkky game! It’s no secret. I love games. Any and all types of games. I also love hosting. So putting those two together for me is just common sense. Sadly getting people to come is a major problem, but at least we have some attendance and that is better than just Jason and I any day. Therefore, still a party. Because of my love of hosting and games, I’m always on the lookout for new things to try and that is where party sites come in hand. 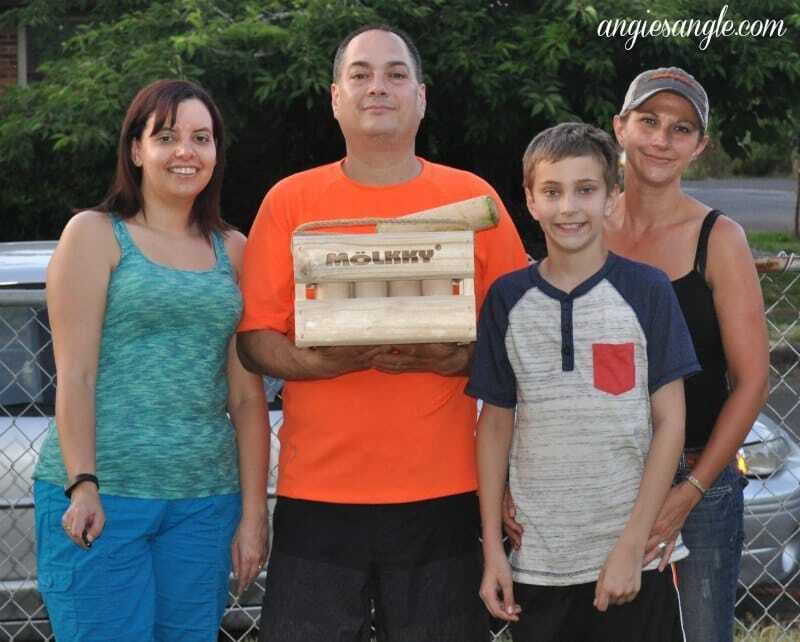 I applied at Tryazon to host a Molkky party Memorial Weekend, but since we were going to be out-of-town for Memorial Weekend and I couldn’t host a party then, I made in clear in my application that it would have to be moved to a different weekend and I still got chosen to get Molkky and host a party. I was so excited. I quickly made up an event on facebook as I was completely excited about hosting a regular old BBQ featuring Molkky. 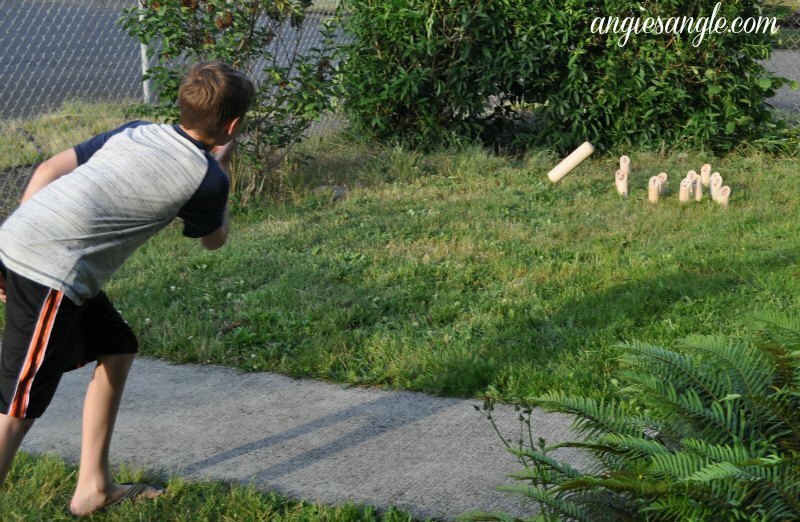 From what I could tell on what I could find online about Molkky, it reminded me of yard bowling with slight twists. Yes, please! Molkky is the number one outdoor game in Europe. And after playing it, I can totally see why. It’s great fun. The game comes in a wooden case with 12 pins and 1 throwing stick. Those are called skittles. That is all you need to play the game. To win the game you must get 50 points exactly. If you go over you go back down to 25 and work your way back up. If you knock down two pins, you get two points. But, if you knock down a single pin, you get whatever number pin you knocked down as your points. The first person to reach that 50 points on the nose wins the game. Easy sounding right? Easy and fun! Trust me. Plus a little tricky. Our BBQ was set for June 4th (this past Saturday). The temperature though wasn’t going to be very BBQ friendly and therefore I changed the start time of the BBQ from 3 to 5 pm in hopes to miss the most intense part of the heat. Sadly though we had mostly no’s, some completely ignored it, some maybes and only Jason, myself, and Debbie along with her son Dylan as yeses. Which left me a little sad and pity party for one. Especially since I was just so excited about this and thought it was going to be a total hit. 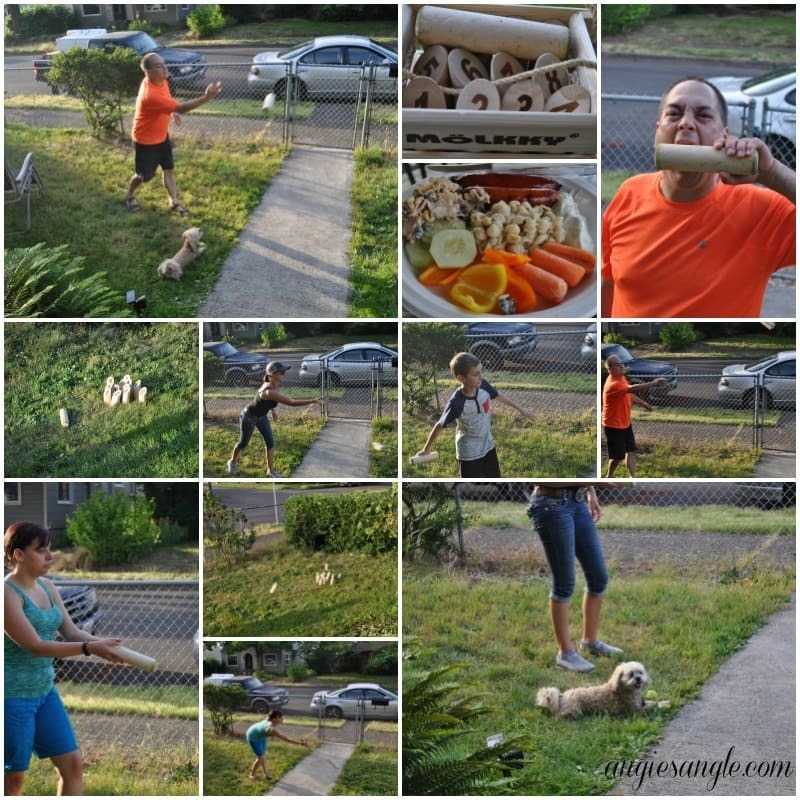 We ate hamburgers, hot links, and cheese sausages along with their trimmings and then got down to playing some Molkky. Thankfully the temperature was quite comfortable by the time we started playing and I even took a picture with Instagram in hopes to maybe draw in some late comers to the party. It didn’t work, but my mood did improve as we played. 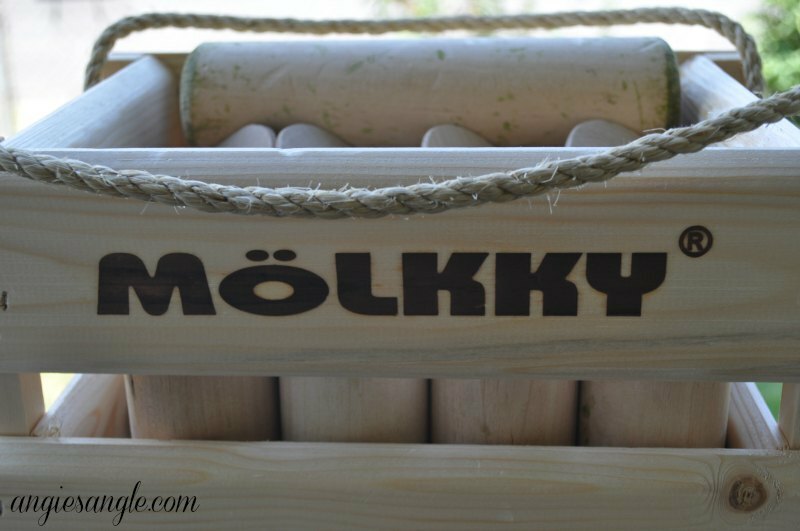 Molkky was such fun! We played twice. I won the first one with Jason winning the second. I think we all had a grand time with it though and I am already looking forward to playing Molkky again. 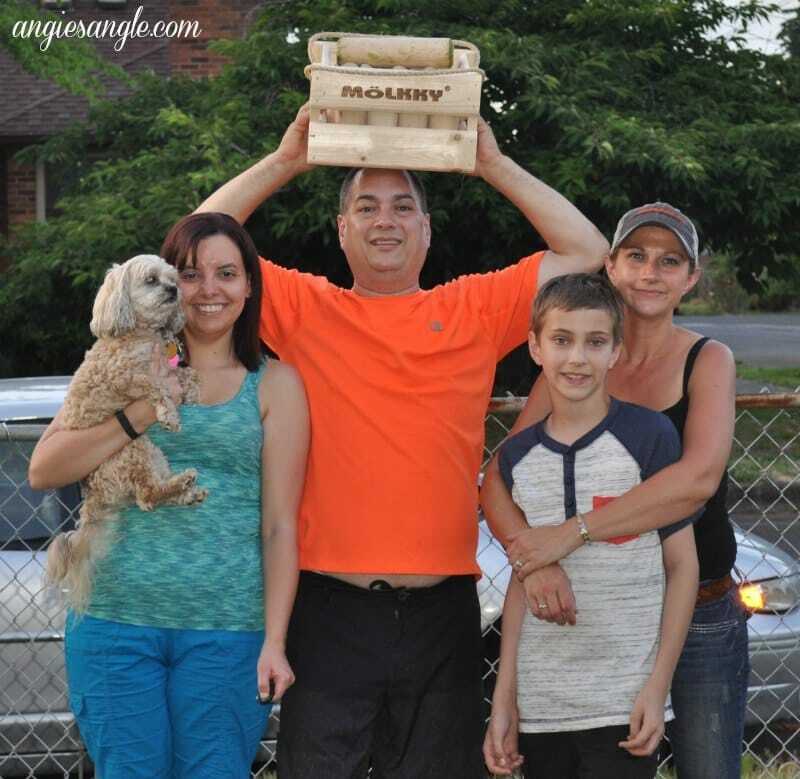 Now that I have told you a bit about Molkky and the fun we had with Molkky, do you think you’ll be getting it for your own family and friend fun? Grab Molkky today on Amazon!